Put your best content behind a gate: Part of your social media commitment is to provide interesting, entertaining, or helpful content for your readers. This could be anything from a how-to video to a detailed white paper explaining technical aspects of your product or industry. Readers will usually be eager to get access to this content. You’ll build interest and goodwill by giving a portion of this content away for free. However, you can improve your lead generation results by putting some of the most enticing content behind a gate, such as a form that captures visitor names and email addresses, before providing access. You still don’t charge for the content, but the visitor “pays” to receive it by providing you with contact information that turns them into a potential lead. Use focused social media advertising to reach highly targeted leads: Twitter, Facebook, and other social media platforms offer sophisticated advertising platforms that make information capture and lead generation much easier. For example, Twitter offers lead generation cards that are presented as promoted tweets. When a user clicks on these cards, they expand into a form that is already pre-filled with the user’s name, email address, and twitter address. This reduces the number of steps needed to acquire a lead and makes it easy and more productive for Twitter users to respond to ads that interest them. Incorporate Google Analytics into your social media marketing and lead generation: Google Analytics is an extremely useful way to track and monitor online marketing and advertising activities. Use it to analyze the effectiveness of your campaigns, to see traffic patterns, to identify user behavior, and track successful conversions. 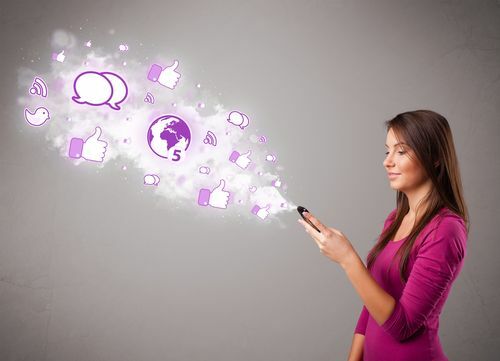 Are you using social media to its best advantage for lead generation as well as customer education and brand awareness?